"After 4 four plumbers in my area no one was able to completely fix the problem, reason were hard water,there is also some water in the pipes which leak into the tub,and there bills were sky high,one plumber change one rubber washer to the tune of 150 dollars,which took about 4 minutes,no way to treat a senior citizen,any way thank you Bogush and thank you Tom, what a great job he did,He made sure the job was done right the first time." "I called Bogush to fix a leaking shower faucet late Thursday and scheduled service for Friday morning with a guarantee the leak would be fixed before I left for vacation Friday afternoon. The plumber arrived at 9:00, replaced the shower head in under an hour and cleaned up the work area before he left. Good reliable service." "The serviceman who installed my new water heater arrived at 9:00. He was neat and personable and explained everything he would do before staring the job, which he finished at 11:30. I would be happy to have him back." 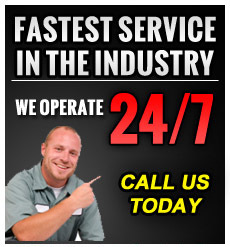 "You have been excellent handling our cooling system maintenance. Your servicemen have been wonderful compared to those we have dealt with from other companies. Your response time has been great too. Thanks very much!" "I would like to say thank you to the team at Bogush Inc. Your service was impeccable. I will continue to do business with you and recommend you to all my friends and family. May I wish all the staff at Bogush a Happy New Year." "It is very hard to find skilled tradesmen who are polite and articulate. I was fortunate to have spoken with this particular employee. He explained the work I needed done in detail and provided me with a reasonable price. I hope he gets recognized for his skill and professionalism. He is a valuable asset to your firm."